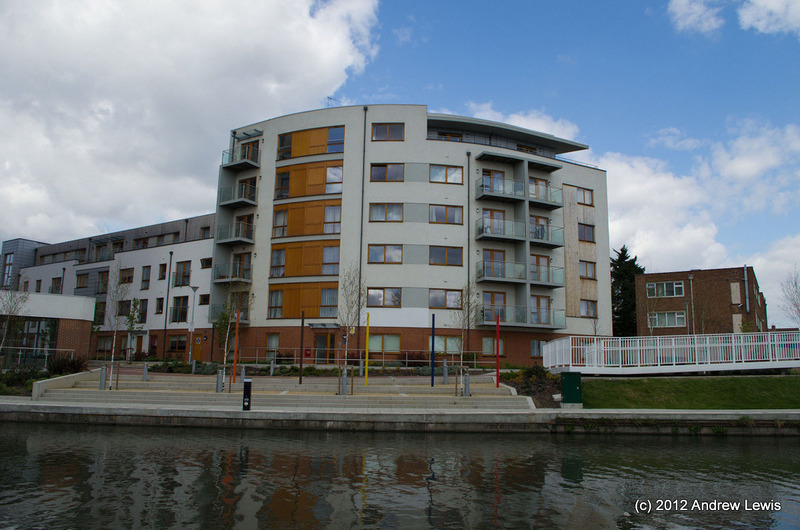 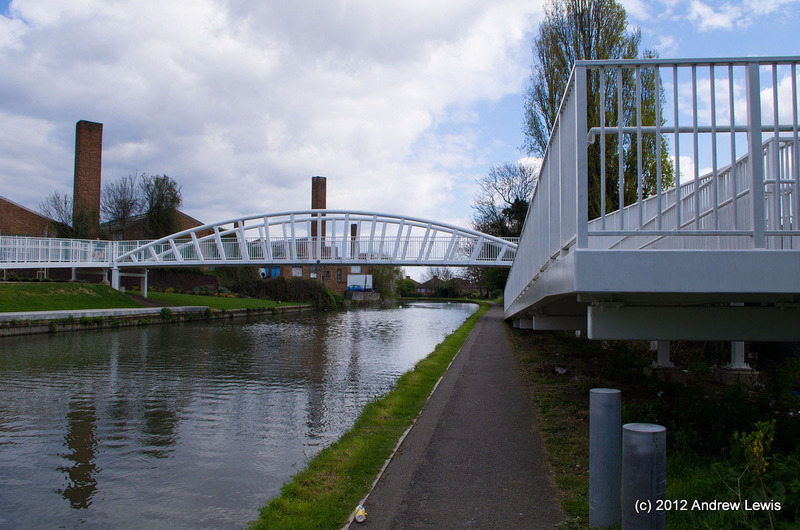 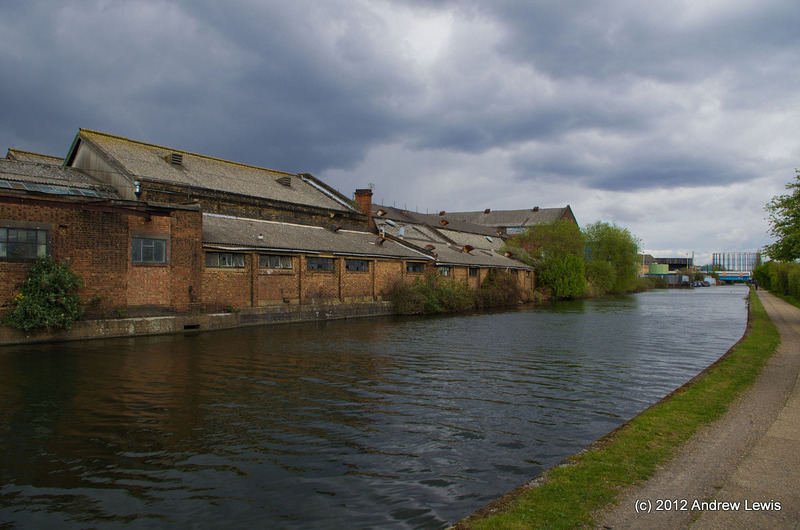 Having reached Alperton at the end of a previous walk, a few weeks later the weather looked decent enough near home to complete this walk along the Paddington branch of the Grand Union Canal, by walking the second half from Alperton to Paddington. 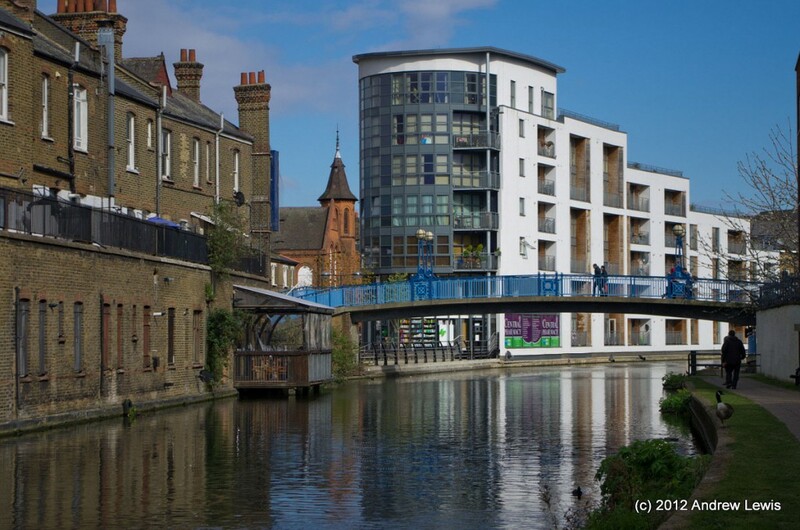 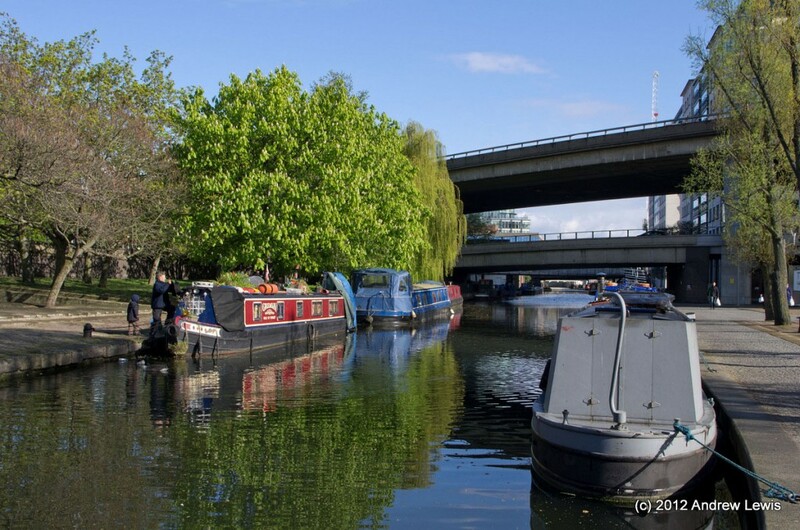 The walk starts off in the urban areas around Alperton, Park Royal and then heads towards Acton, Old Oak, Kensal Town and then the final run in to Paddington. 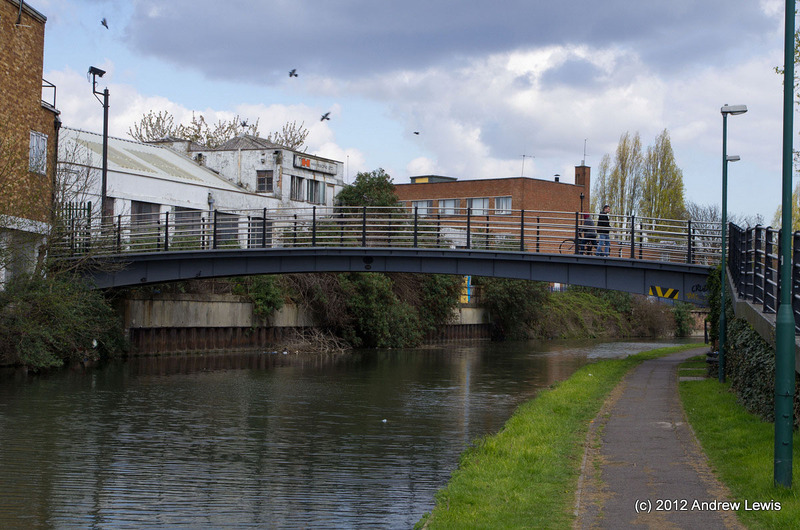 Various modern flats and new iron foot bridges contrast with the older brick walls of factories along many parts of this route. 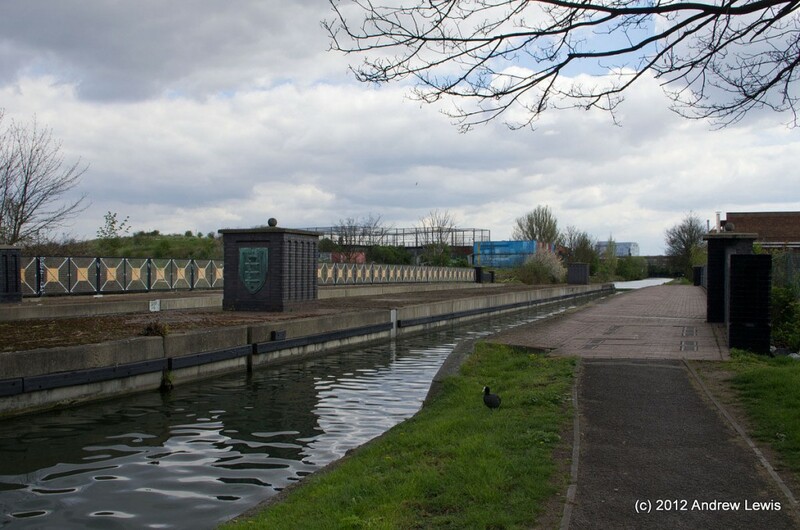 The canal view is rather closed in at the start, but then begins to open out somewhat. 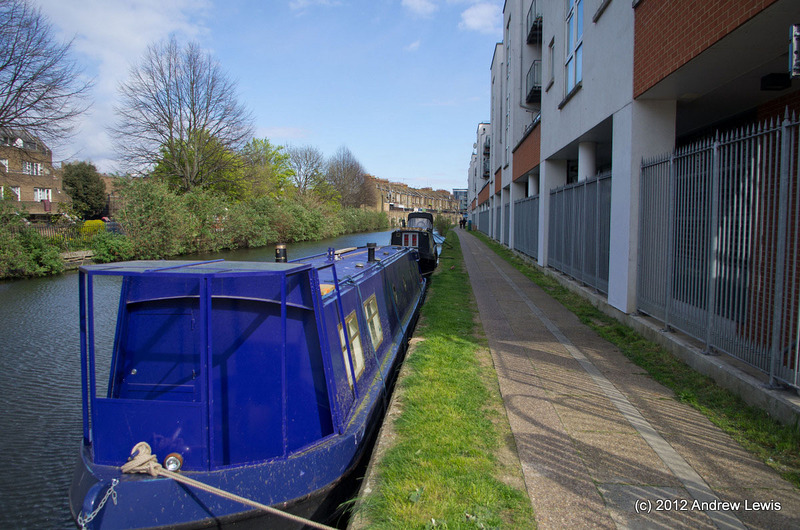 After a few small bridges, the canal turns through two short bends, 90 degrees from heading north east to south east. 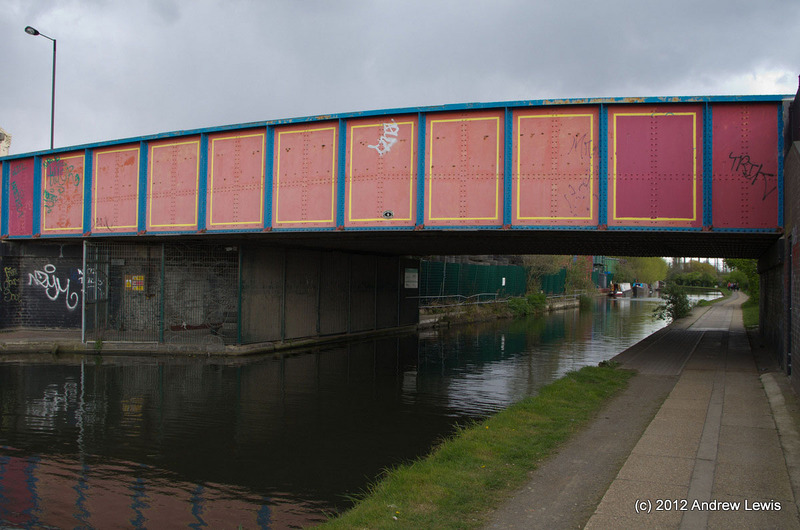 The straight section then heads over the top of the North Circular in a decorated aqueduct. 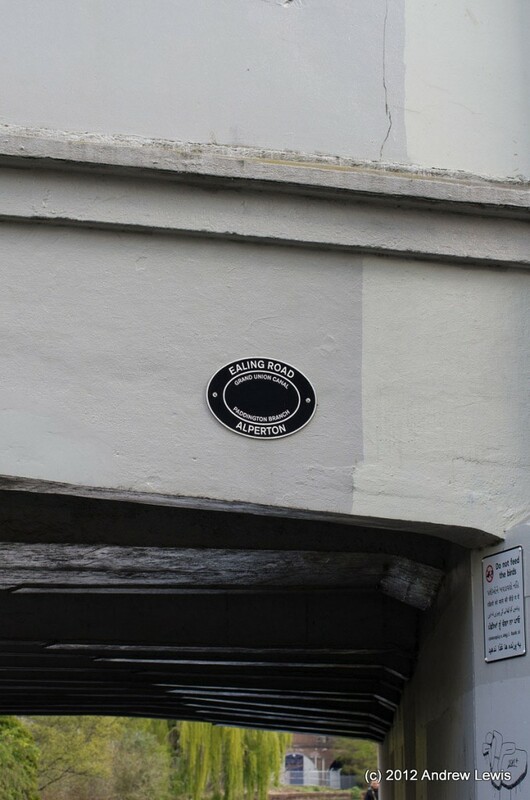 A few weeks later, on route to a karting meeting, I would pass right under the same spot. 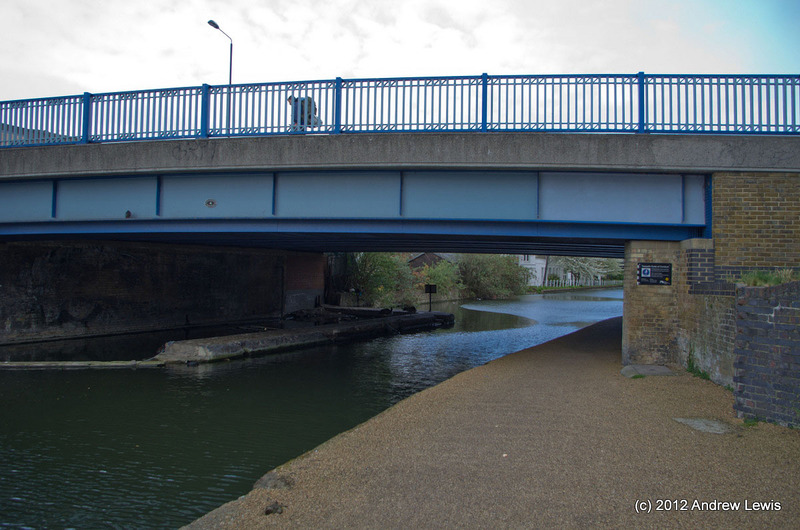 After the noise of the underneath roadway, quiet returns to the waterway as it swings further northwards again. 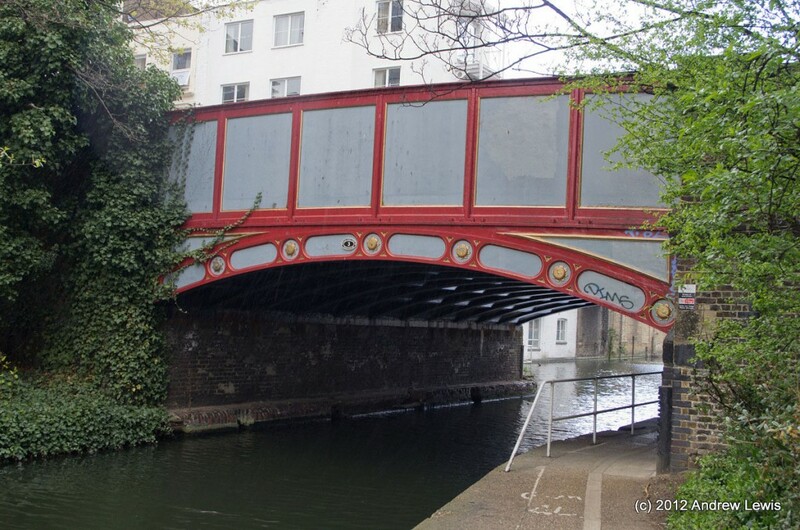 Some older buildings and bridges pass by. 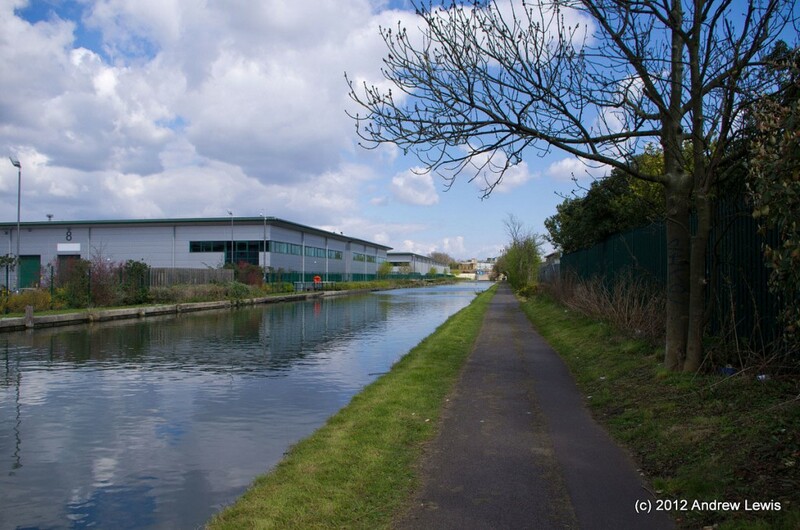 And then the canal becomes more open in the environs of Park Royal, with its industrial units backing onto the canal. 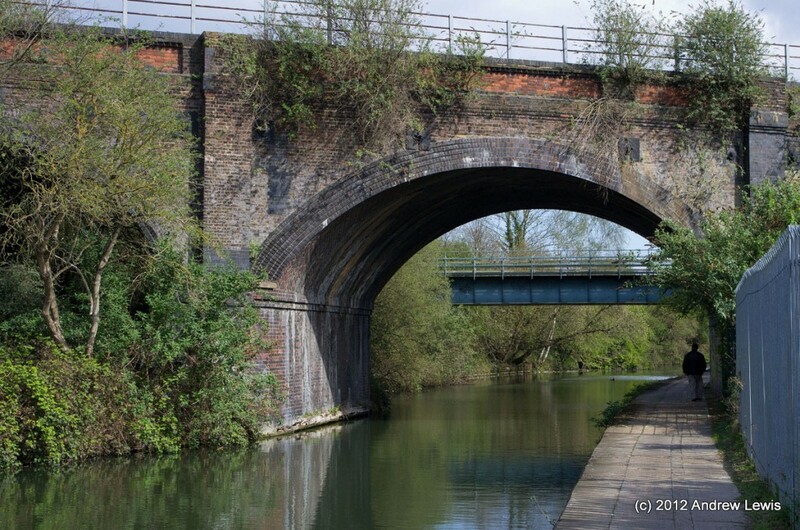 After a short rest at a waterside pub, a section of covered pipe bridges rears into view. 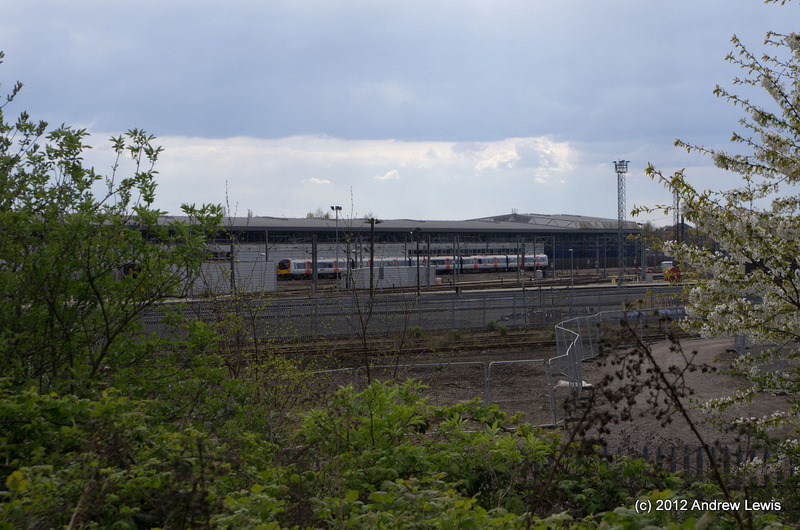 These are then followed by some railway bridges (and we become aware of lots of rail traffic off to the side of the canal, as we approach the Old Oak Common sidings. 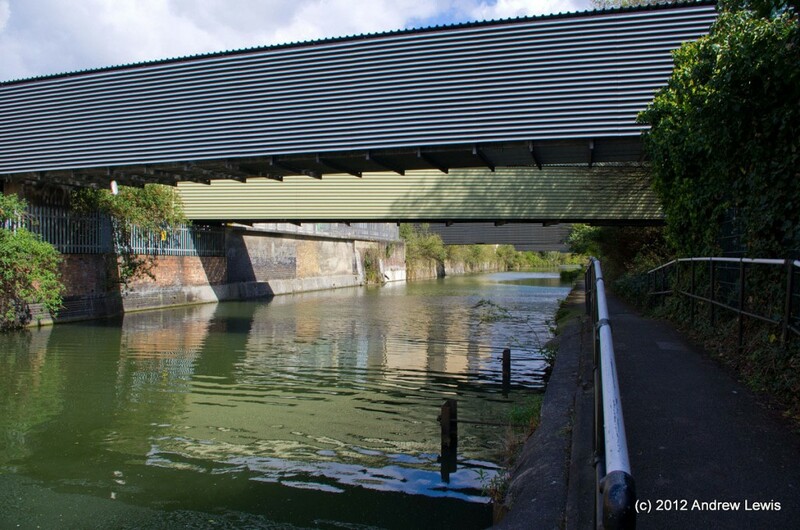 A few little zig-zags take place next as the canal approaches the side of the railway. 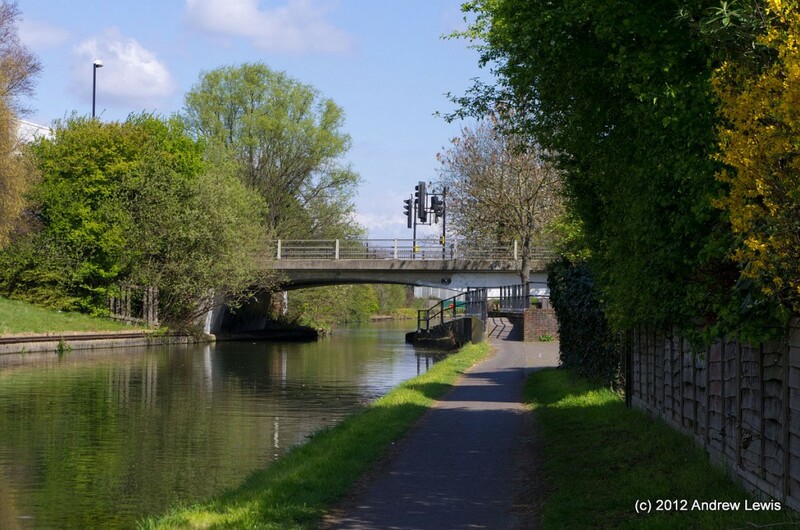 The canal runs eight beside the railway sidings. 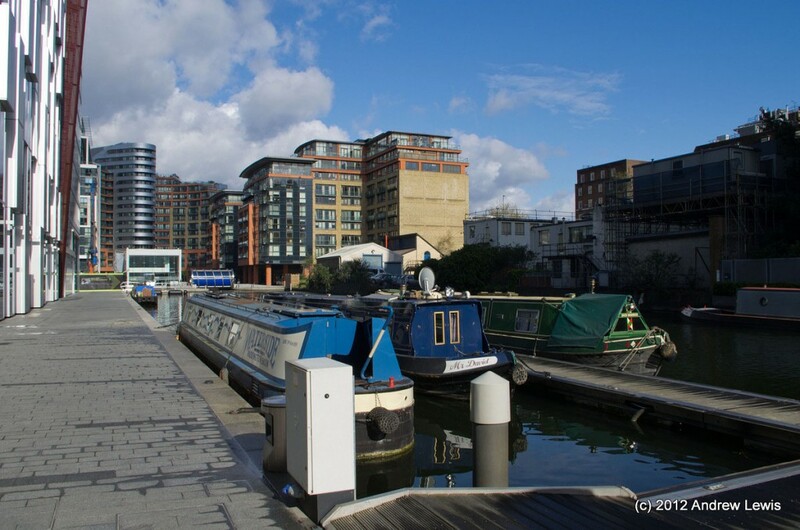 The parallel lines of rails remind us that we are on the way to Paddington, one of the main London termini for the rail network. 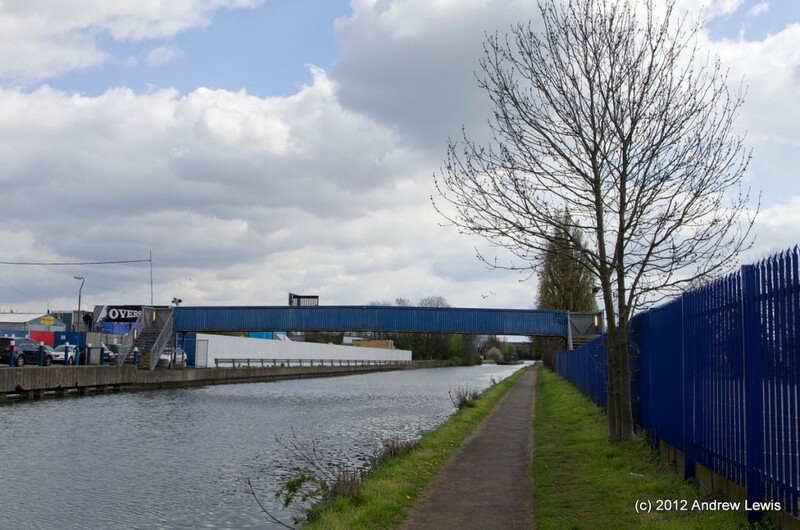 Scrubbs Lane bridge is next in view, marking the mid point of the section of canal that passes next to the railway. 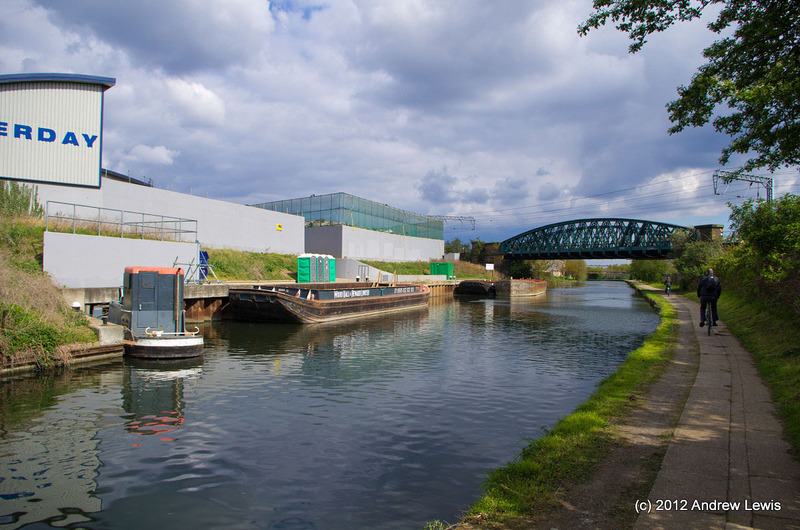 The canal next turns northwards away from the rails and around the edge of an old gas works. 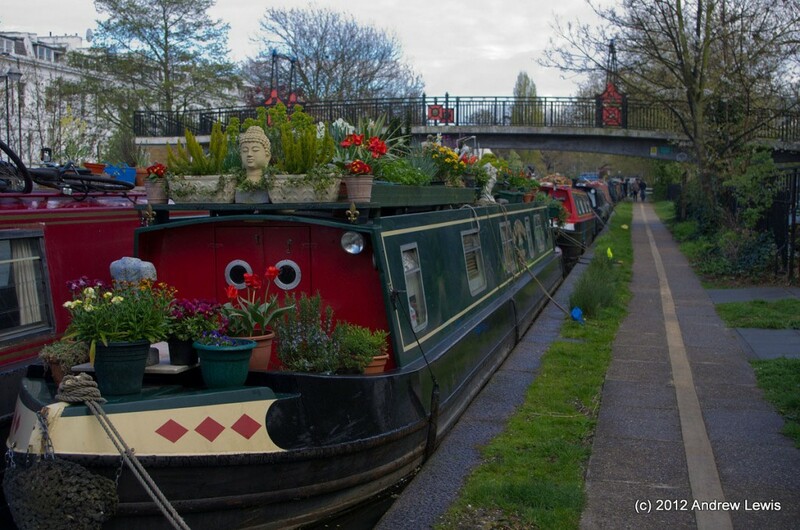 A pretty section of moorings is now encountered, and with the trees in blossom, and with small flower gardens by the side of the canal, it is clear that we are approaching Kensal Town. 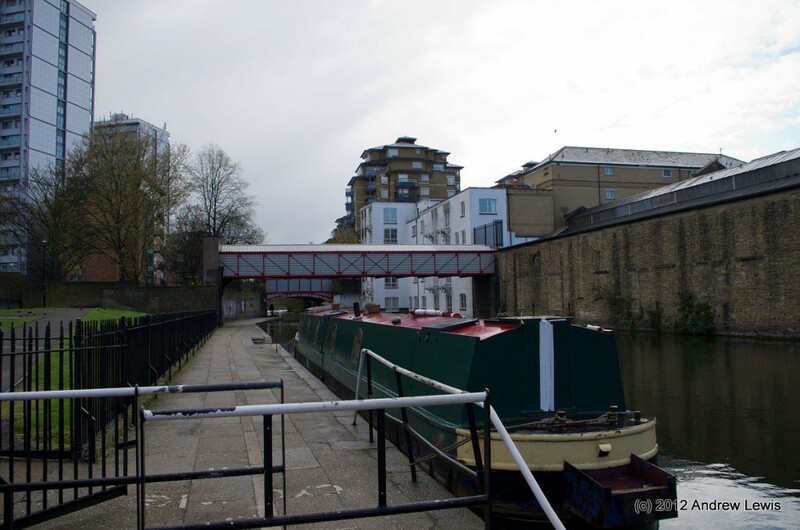 Before we enter Kensal Town proper, there is a winding hole just before the Ladbroke Grove bridge. Passing under the bridge we head towards the Porta Bella dock. 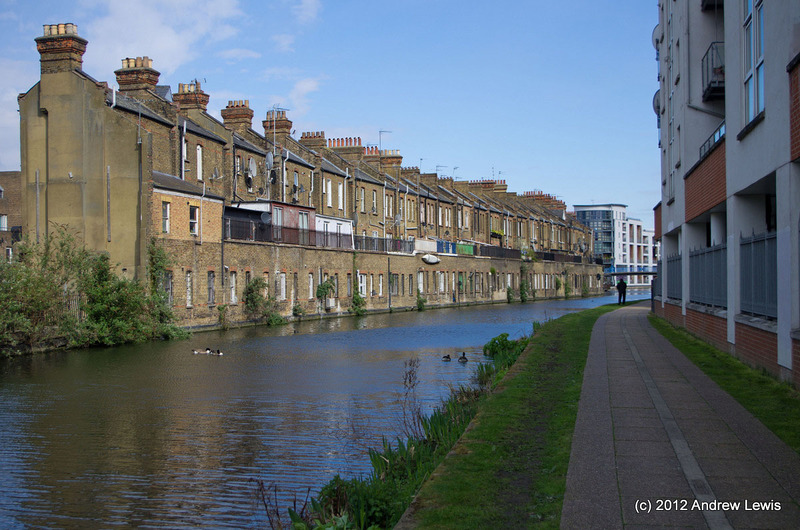 Houses at the southern end of West Kilburn back right onto the canal. 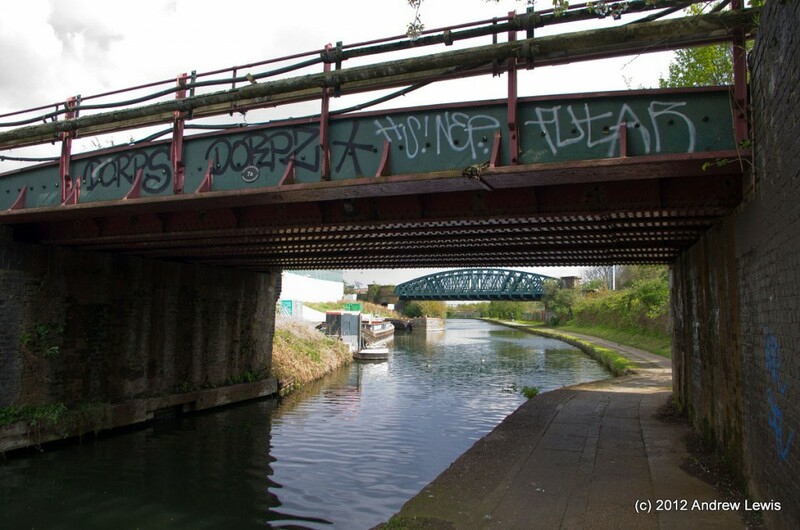 Having left the noise of the railway behind us, we now encounter another transport network as the canal passes underneath eh massive Great Western Road. 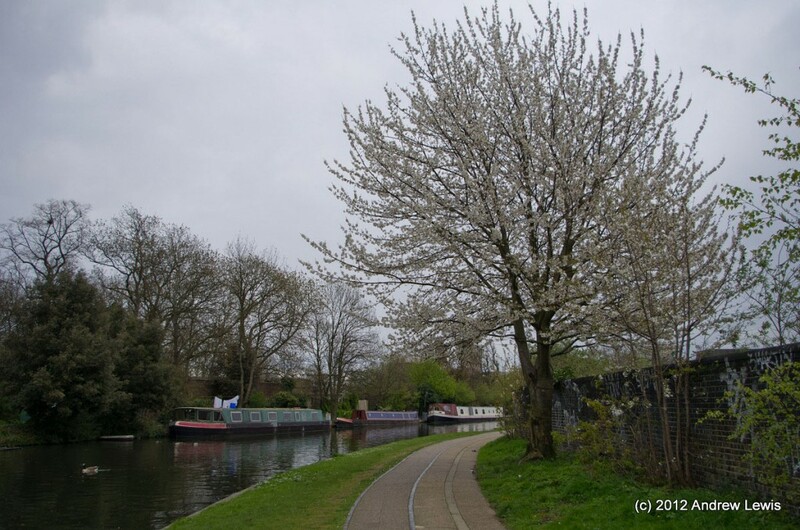 It was convenient that the roadway afforded an elevated cover as at this point in the walk, the weather let me down. 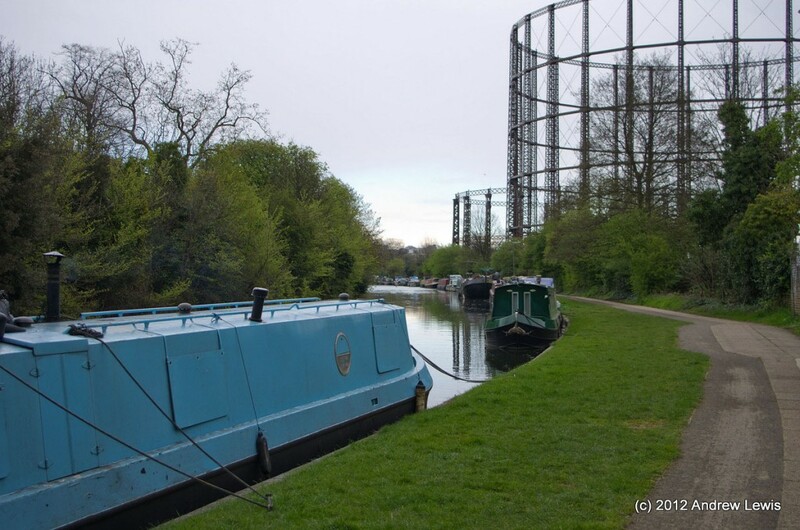 I had checked the forecast for home and it was fine, but forgot that the walk was going to be some miles away, in north London. 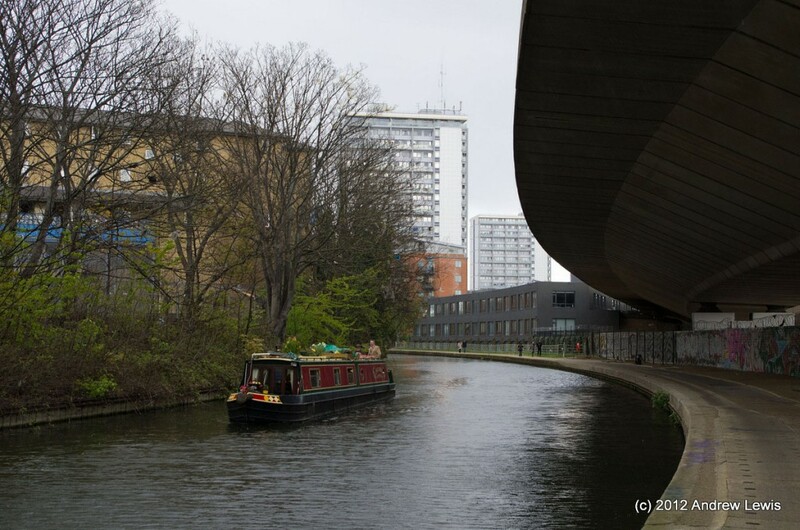 After a short pause waiting for the worst of the wain to pass, and drying off the camera gear, I continued onward for the short final section from the Harrow Road Bridge to Paddington. 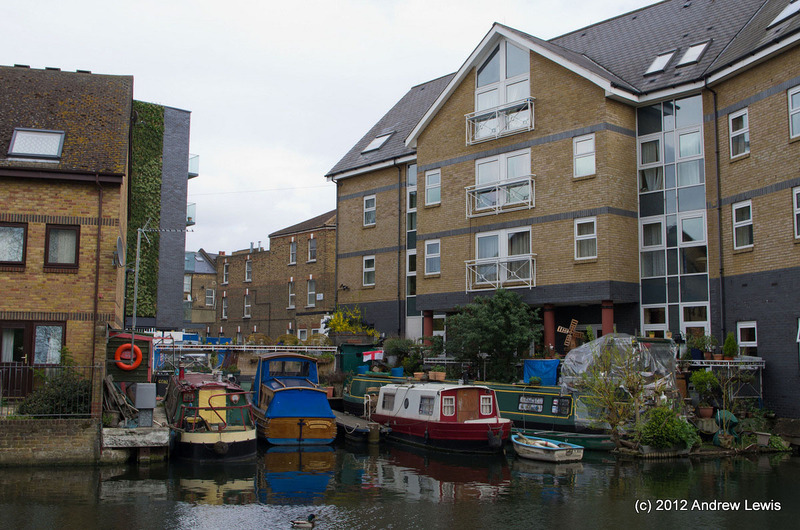 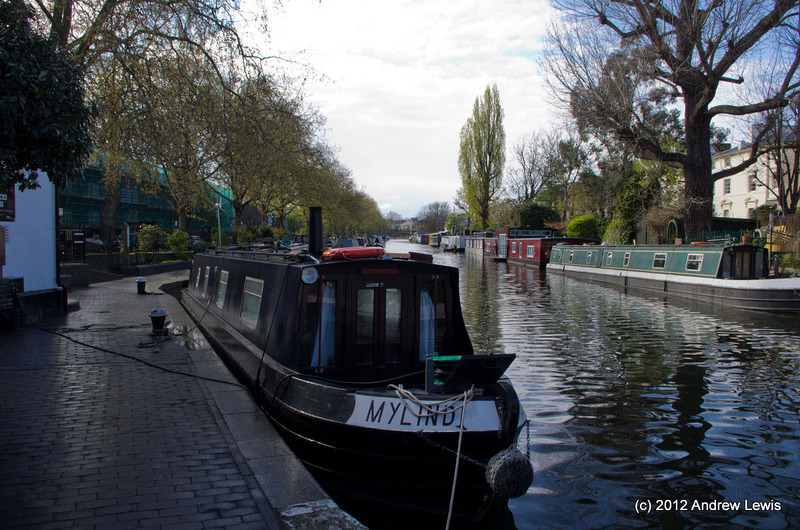 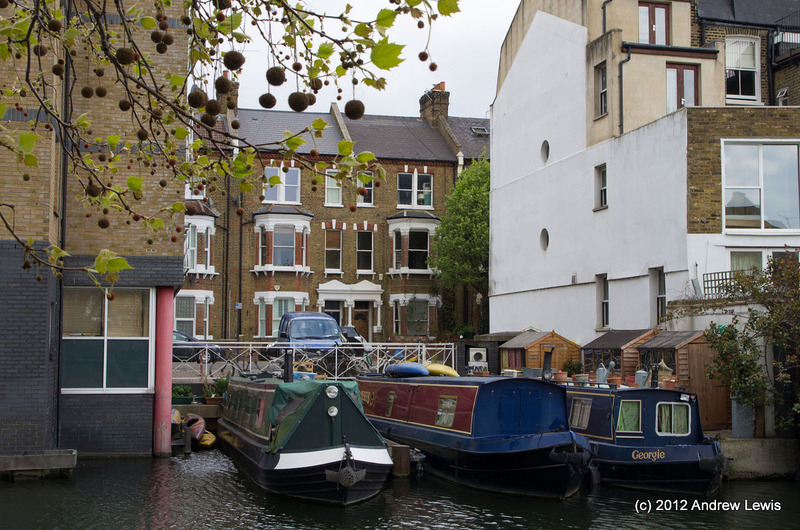 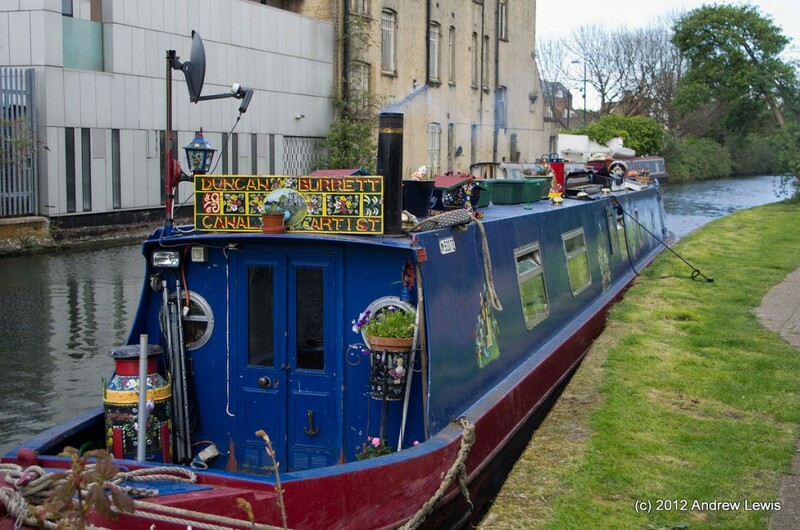 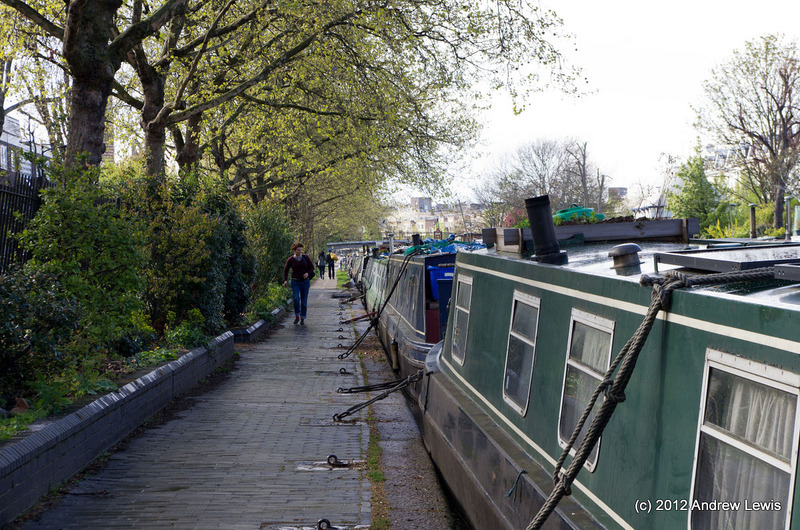 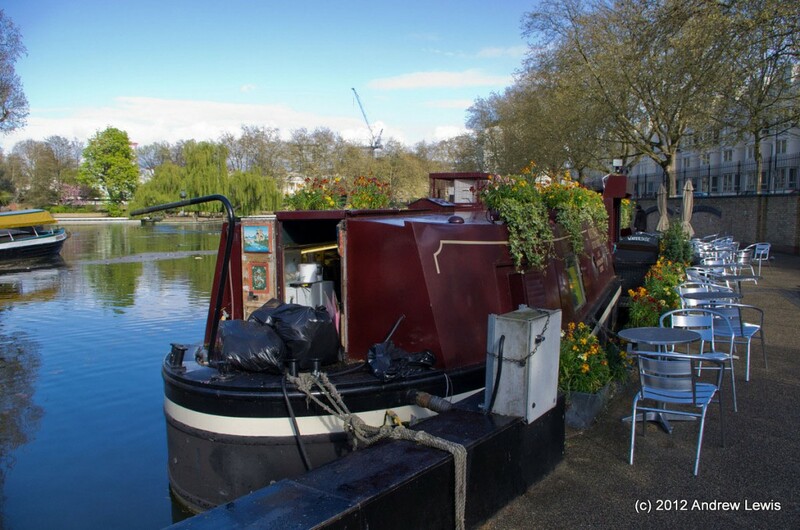 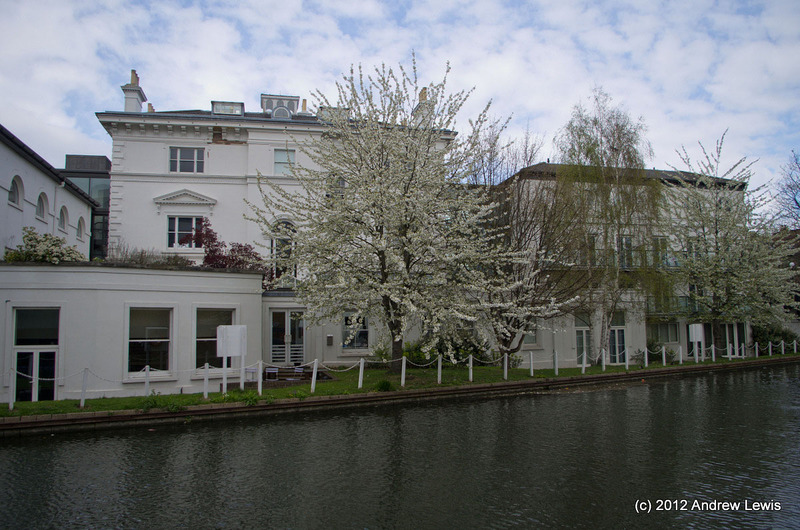 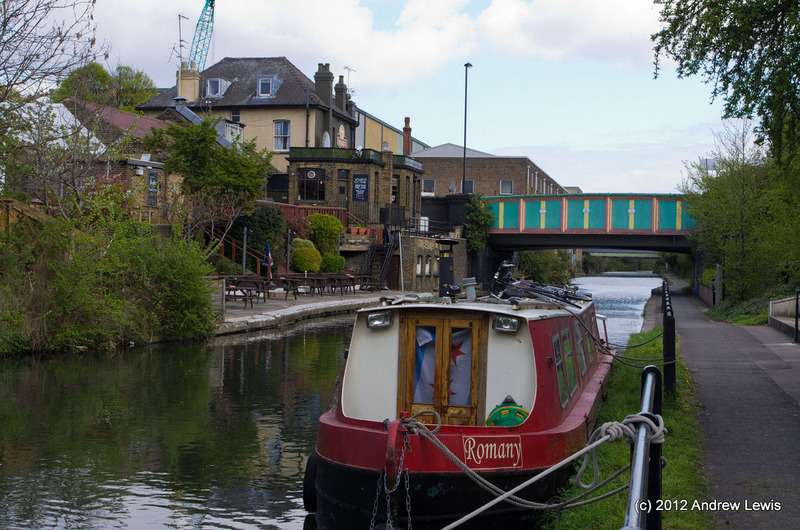 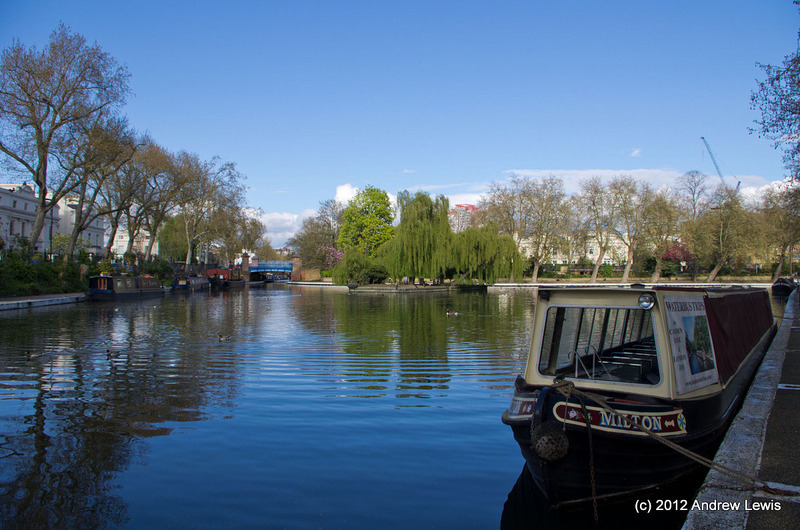 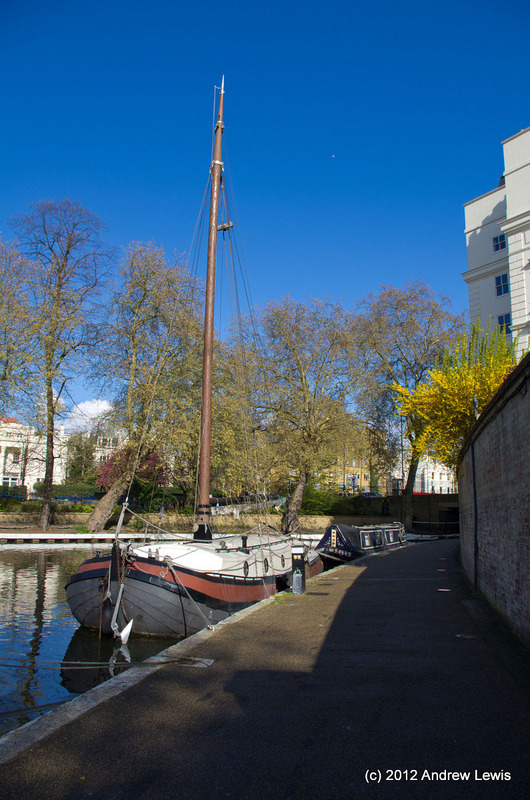 Before reaching Paddington, another familiar section of canal comes into view – Little Venice. 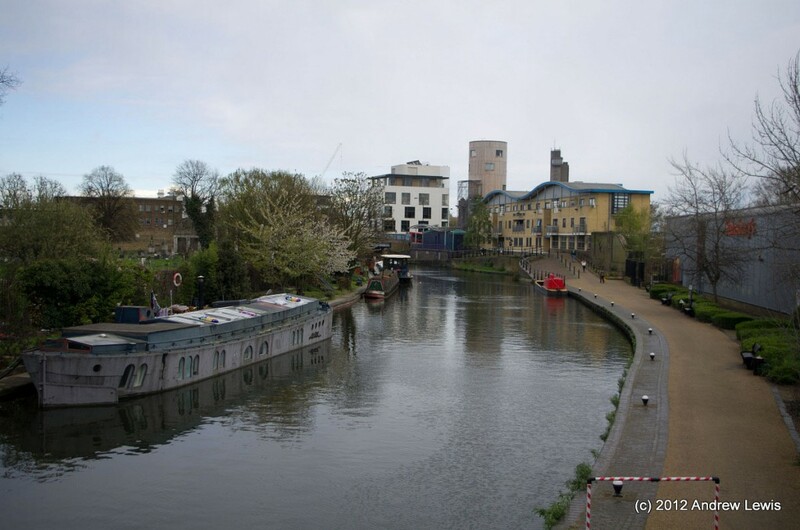 At the Little Venice Junction, once can choose three routes to follow: the return route I had been walking, from Little Venice, via Alperton to Bulls Bridge Junction; the Regents Canal, north eastwards through Regents Park, or the short section running round to Paddington. Well, this time, I needed to complete the Paddington section so I turned southwards and a few minutes later I was retracing the steps of an earlier walk (Paddington through Regents Canal) and I ended my journey in the Paddington Basin.